The compact, 1 U, environmentally hardened ACX1100 is an Ethernet-only access router with a fixed configuration of eight copper GbE 10/100/1000 Mbps interfaces, and four GbE copper/fiber combination ports. ACX Series Universal Access Routers cost-effectively address current operator challenges to rapidly deploy new, high-bandwidth services. ACX1100 routers provide 60 Gbps performance, programmability, and a fanless passive cooling system that make it ideal for external cabinet or tower installation. 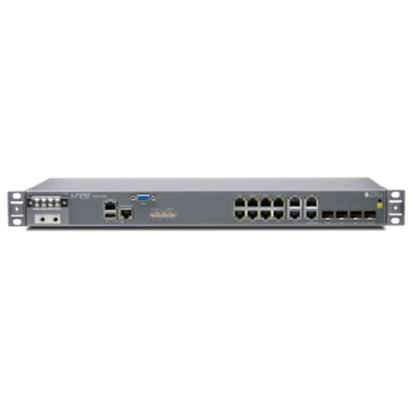 The ACX Series introduces Juniper’s proven IP/MPLS leadership from core and edge into the access layers of the network, with compact 17.5 x 1.75 x 9.4 in (44.5 x 4.4 x 24 cm) platforms conforming to ETSI 300 specifications. This architecture enables ease of deployment in a telco or enterprise cabinet where rack space and cooling are limited. Environmental Hardening in 1 U models includes passive cooling for outdoor deployment.